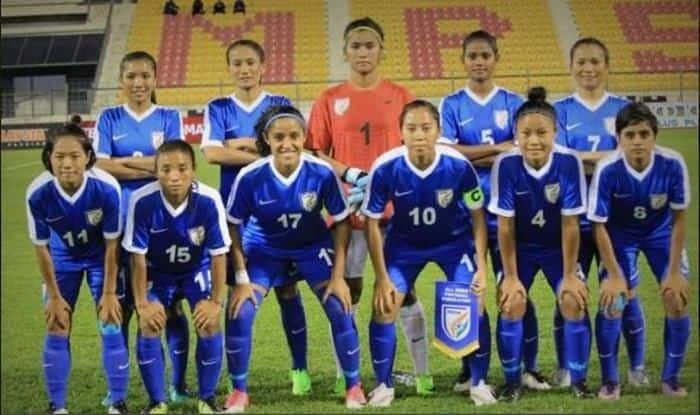 Indian women's football team are all set to square off against Nepal in the second match of their second match of the ongoing Hero Gold Cup, later today. Indian women’s football team are all set to square off against Nepal in the second match of their second match of the ongoing Hero Gold Cup, later today. Anju Tamang’s 48th-minute winner had led India to a perfect start in the competition beating Iran 1-0 in their opening encounter. But for coach Maymol Rocky and her players, it was just another day in office which went right as they were continued their winning spree — taking the tally to five victories (2 each against Indonesia and Hong Kong). “We play for a win in every match, and against Iran it was no different. We knew this will be a tough match for us. We wanted to start the tournament of a positive note,” AIFF quoted Maymol, as saying. “This is a win for all stakeholders involved, and every Indian. We dug deep and fought our way every minute to get the win,” she added. India could have scored more but were unlucky as Sanju hit the woodwork in the second half, and Anju muffed almost scoring another in the dying embers. Goalkeeper Aditi Chauhan made a mere four saves in the entire match and was not stretched even once. “The team performed really well defensively. It was because of the 10 players playing ahead that Aditi was not called into action much. We are aiming for this kind of defensive solidity in each match,” Maymol informed. Meanwhile, the duo of Sanju and Anju gave constant trouble to the Iranian defence, bedazzling and bewildering them with almost every move. “Me and Sanju had our little game plan before the match. We discussed what we will do once the ball gets on the wins. We are room partners as well. So we talk a lot. I believe I complement Sanju in attack, as she complements me,” informed goal scorer Anju Tamang. “We need their constant support as we play for them and represent them. They give us the energy to perform day in and day out,” she added. Nepal had lost 3-0 to Myanmar in their first match but Maymol believes they are no pushovers. “Nepal are a very strong team. We cannot underestimate them. They are really quick on the break and have decent finishing skills. We need to be on the top of our game and aim for a win,” Maymol concluded.